What’s hot in Dubai’s housing sales market? 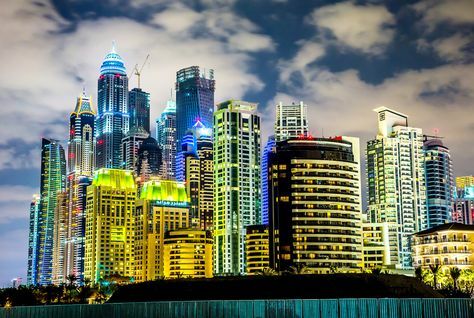 The Dubai Land Department (DLD) recently announced that the value of real estate transactions in the first 45 days of the year hit Dh42 billion, nearly half of last year’s Dh91 billion. An interesting feature of recent residential transactions has been the increasing number of off-plan purchases. According to Property Monitor, of the total apartments sold last year, nearly 53 per cent were off-plan. In comparison, nearly 45 per cent off-plan villas and town houses were sold during this period. The Cavendish Maxwell residential market report stated that apartments made up a majority of the new supply added last year at nearly 85 per cent of total handovers. New launches, as well the introduction of flexible payment plans, where around 60-70 per cent of payment is made at handover, have begun to attract a wider buyer base. Accordingly, the number of owner-occupiers is slowly increasing. Historically, Dubai’s residential property market has been dominated by investors, as owner-occupiers were priced out of most developments, especially during the 2011–14 boom. However, favourable mortgage terms and post-handover payments plans, among other factors, have increased interest from first-time buyers, while developers are responding to the demand. There has been a shift towards off-plan this year, with nearly 64 per cent of apartment and 83 per cent of villa and town-house transactions in January and February being off-plan. This signals increased investor activity, especially for villas in Townsquare, Dubailand and Arabian Ranches, and apartments in Dubailand, The Lagoons, Downtown Dubai and Dubai Marina. With lower-priced villas entering the market in the past two months, at average rates of Dh2.2 million or even lower, activity in this segment is expected to increase further. Transaction volume for transferred sales among apartments was highest in January and September 2016 over a 14-month period, with more than 1,100 recorded transactions. As is traditionally the case, activity was lower in the summer months (June to August) before picking up again in September. Prices were under pressure last year, with the rate of decline slowing in the fourth quarter. Cavendish Maxwell reported that house prices declined by 15 per cent since highs seen in Q2 2014. Apartment prices declined by 0.3 per cent on average in the fourth quarter and by an average of 3.4 per cent over the year. The significant scheduled supply this year, with completions in areas such as Dubailand, Dubai Sports City and Business Bay, will continue to pressure prices. In January, the most active locations for transferred sales were Dubailand, International City, Dubai Marina and Jumeirah Lakes Towers. For investors, locations with high net yields continue to remain attractive, while first-time buyers looking for homes are more likely to prefer taking out a mortgage. Since banks typically prefer lending against completed properties, areas where prices have stabilised will remain attractive. Options in completed buildings are available at Dh700,000 and upwards in areas such as Dubailand, Silicon Oasis, Sports City and IMPZ, among others. Townsquare, Dubailand and Arabian Ranches were the most active in off-plan sales in January, while Dubailand, The Lagoons and Downtown had the highest off-plan apartment transactions. In comparison, the top locations for off-plan sales in December were Reem, Emirates Living, Jumeirah Park for villas and Motor City, Dubai Marina and International City for apartments.